Hello fellow vault dweller boys and girls! This is Howler here. 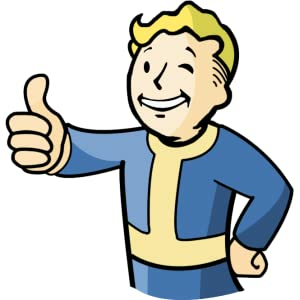 Let us Fallout fans join together and show our love for the series! Those who join will be sent to the same vault! Vault 111! It is completely safe! Um, yes! Definitely safe alright! From nuclear devastations or whatever! But I'll just get to the point. I do updating occasionally on the OP for new members, don't freak out if it takes awhile! I hope to see this fanclub grow and ask me if you have questions! Thank you all who's reading and let's get them Deathclaws! This fanclub has but it's last breath, I appreciate those that joined. If any of you want this club up again, you may do so.